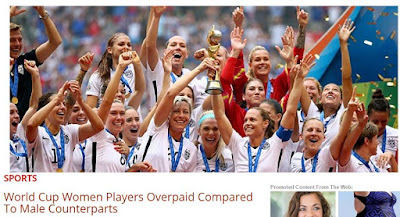 The Chronicle of Cultural Misandry: Yet Another Discriminatory Gender Wage Gap Debunked: Female Soccer Players Are Overpaid. 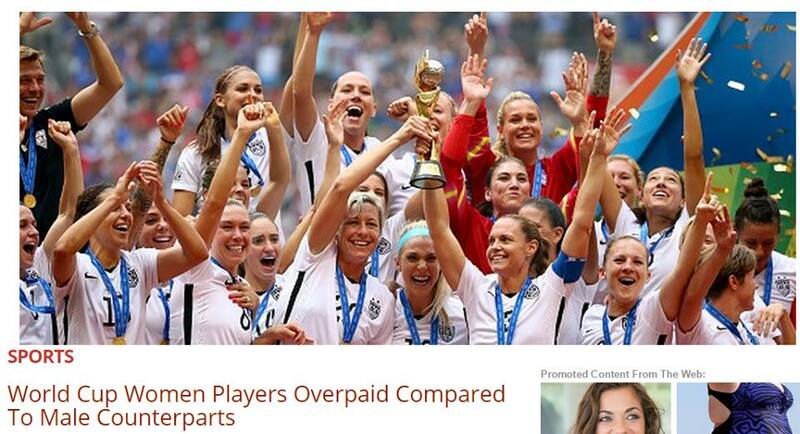 Yet Another Discriminatory Gender Wage Gap Debunked: Female Soccer Players Are Overpaid. The 2014 World Cup was even a greater success, $4.8 billion.When comparing the pay of the players relative to the event’s revenue, one sees the discrepancy, that women players gain a higher percentage of the event’s earnings than men. In 2011, the payout for women’s event was $10 million. This would mean the players earn 13 percent of total revenues.